The insistence of Senators Danjuma Goje and Ali Ndume to contest the Senate presidency in the 9th National Assembly has dealt a major blow to the resolve of the party to field Senator Ahmed Lawan from Yobe State as its choice. 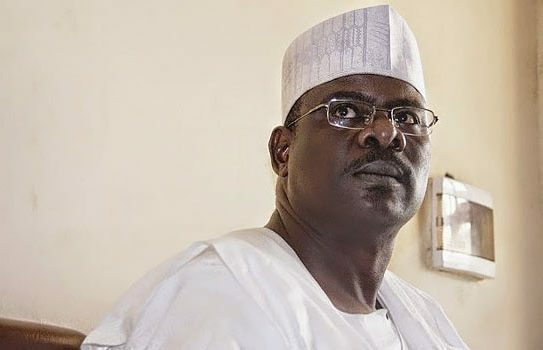 While Ndume has insisted on not stepping down for the party’s anointed candidate, Lawan, Goje, who is believed to enjoy the support of senators elected on the platform of the Peoples Democratic Party is alleged to be working underground to subvert the decision of the APC leadership. The leadership of the APC is, according to party sources, is working tirelessly to avoid a repeat of the ‘ coup’ of 2015. The party is said to be putting pressure on Goje to withdraw from the race and support Lawan, who will in turn compensate him with a juicy committee headship. On Thursday, Goje was openly called upon by a group of Amalgamated Youths from the North-East to declare his ambition without any further delay, a move political analysts see as one of the Senator’s schemes. In making the call at the entrance to the National Assembly, the group led by one Bello Ambo from Bauchi State said neither the endorsement of Lawan by the national leadership of APC nor expression of interest by Senator Ndume should prevent Goje from throwing his hat into the ring. According to Ambo, Goje, stands far above the other two as far as public service experience is concerned, having piloted the affairs of a whole state for eight years and garnered parliamentary experience while in the Senate. “Position of Senate president requires administrative and parliamentary knowledge enormously possessed by Goje as against the two other contenders from the zone”, he said. On the final decision of the APC to endorse Lawan, Ambo said all Senators and Senators-elect were mature people who are capable of deciding who their leaders should be. “Our party is a party of the people and not few leaders. The party should allow the people in this case, senators-elect, to decide whoever they want as their leader in whatever capacity. “For us the Goje Support Groups from the North East for the presidency of the 9th Senate (GSGNE), Senator Danjuma Goje is the right man for the job. He has the required experience as tested administrator and high ranking lawmaker. “He is a man of the people and a senator with all what it takes, in carrying others along across party lines and most importantly, a party man to the core who will fit perfectly into the next level agenda of President Muhammadu Buhari,” he added.